Hello, my name is Bill Gerlach. 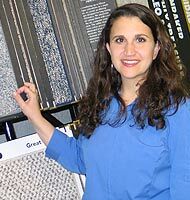 I founded Gerlach Wholesale Flooring, Inc. in January of 1993. GWF, Inc. is made up of independent member companies which provide personalized service with a commitment to exceptional quality. Buying group wholesale prices along with Brand name products are available everyday. I would like to thank the Madison and surrounding towns for allowing us to help with their many Residential and Commercial needs. The past several years have brought many changes. Carpets have become more resilient and stain resistant. Laminates have been a big hit for new construction and remodelers. Bamboo, Cork and many different types of wood floors have been introduced. Ceramic and Porcelain Tiles have really come along way. Many Tiles are so large now special cutters are needed. I expect the Flooring industry will continue to change to meet the special needs of specific projects. Gerlach Wholesale will be ready with Brand name products and Guaranteed Professional Installers. My name is Angela Gerlach. 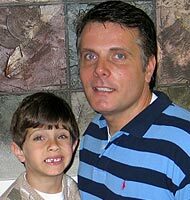 I started Fiore Wholesale Flooring, a distributor GWF in 1994. The Flooring Industry is an ever changing one. Styles, Colors, and Products are constantly being introduced. I have the opportunity to work with customers varying needs in every room. Each day brings a new Challenge with every customer being unique. The ultimate satisfaction arrives when my Customer smiles at the finished product and says "Thank You!" This alone is my motivation to continue working in a challenging cutting edge industry. My name is Steve Udelhofen. I am the owner of Star Flooring, LLC. 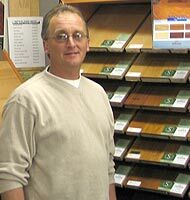 I started in the flooring industry in 1998. In the past several years I have experienced the installation and sales part of the industry. The greatest satisfaction I get from the flooring industry is working with many different customers and the pleasure of a completed job and a happy customer.